Alvin came to the Global Hope Rescue and Rehabilitation Center in 2015. He grew up alone with HIV+ mother, and was orphaned in November 2017 after she passed away. His is the third born in his family. Alvin and his brother Wilson joined the streets together in 2014. He was attending a school called Children’s Garden in 2015 and 2016, and while he was at the top of his class, he was still scoring low marks, so Joseph, the Director thought it would be best to move him to a better school, Kings & Queens. Since then Alvin has improved significantly and is very happy in his new school. 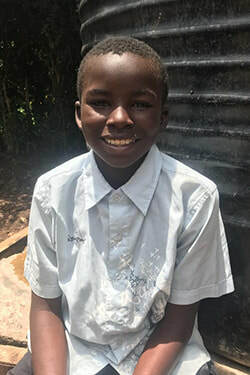 The Headmaster of his school has given Alvin the last year to attend without paying school fees, but is unfortunately no longer able to do that, so Alvin is in need of a sponsor for the rest of 2018 and years to come.